If you are in need of anything party related, I am your new best friend! I can create almost any theme you can imagine! I love creating new items, so if there is anything you are looking for that I do not have, private message me for a custom order today! Announcement Hello my name is Amber! Welcome to my shop Savor Each Second! 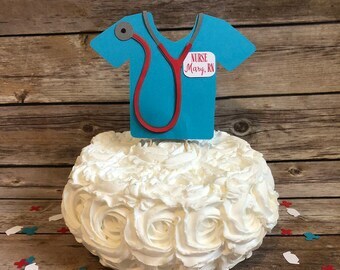 Nurse Graduation banners and decor has been flying out the doors and I am loving all the custom colors and themes coming in as well! Check out my Instagram to see customizations of all the most popular themes and decor I have whipped up! Please check current shipping times as I am a work at home mom with a toddler and a new baby. Quite frequently I very busy with a high order volume. Items generally take 3-5 days to process, however I sometimes run 1-2 week processing due to high order volume. It is always a good idea to note the order notes of the party date. If you need to rush an item, please let me know and I can bump you to the head of the line for $10. ***$10 Rush fee will bump you to the head of the line, but it will not expedite your shipping. Regardless, I only ship priority or priority express due to speed, tracking, and insurance purposes, which is usually 2-3 business days. Express shipping may be available for 1-2 day shipping guaranteed if you are in a pinch. Express shipping may be available for $24.70 or whatever the current pricing for Priority Express Flat Rate Envelope is at the time of purchase. If you need a rushed or expedited shipping, please contact me for a custom listing. Hello my name is Amber! Welcome to my shop Savor Each Second! Very cute product! Came on time and very happy with the product! I’m so excited to hang this the moment I’m done with nursing school, thanks so much!! Happy Easter to all my Etsy friends! I will be out of town this week, but will leave the shop open for orders. All orders placed April 10-17th will be worked on when I get back next week on April 18th! Loving the new line of Baby Brewing banners! Check them out! My beautiful baby girl with her monthly banner! What a great way to watch her grow! Getting married? Say thank you in a photo while holding a thank you banner customized with your wedding colors! Baby showers are one of my favorite parties to create for! I can make any theme! Message me for a custom order! I love creating custom handmade invitations! Message me for your custom invites today! All kids love to have their names to hang up! I can make you one in any theme they will love! Savor each second is my motto for life! My name is Amber and I have been creating banners and party accessories for over three years. In 2014, I opened my Etsy shop in hopes to make some additional cash. I am now a work at home mommy running my shop and after my two beautiful babies as well! My shop is full of items that I have created for friends, family, as well as Etsy customers from all over! If there is a theme that you are looking for that you do not see in my shop, please message me! I love creating new items and will whip up something that you will love! I can create digital or handmade invitations, banners, party tags, cupcake toppers, photo props, thank you cards, etc. Please check out my Reviews to see what my customers are saying about my products! Welcome to Savor Each Second! I love creating handmade banners and party accessories custom for you! If there is anything you are looking for and do not see in my shop, please feel free to private message me and we can get a custom order just for you! I want you to be completely satisfied with your order. If there is something you are not happy with, please contact me and I will make it right! I do not take returns or exchanges. I am not responsible for items that are not delivered by your party date. If you have a specific day you need it by, please make sure to note that in the order and I will accommodate as best I can. Please note, you may be required to pay a rush fee for items that need to be delivered urgently. I am not responsible for orders delivered to the wrong address. Please double check your ship to address before submitting your order. Check your listing for current shipping times. 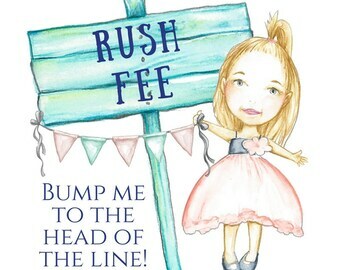 It is always good to mark a note in the order of the party date and I will do my best to accommodate, however, if you need it sooner, you may have to pay a rush fee to bump your order to the front of the line. If you know you will need your order quicker, purchase the rush fee below. If you have any questions, please message me and I will get back with you as soon as possible. Savor Each Second is not responsible for items delivered to the wrong address. Please double check your shipping address before placing the order.